Wii Games only $5 Each! 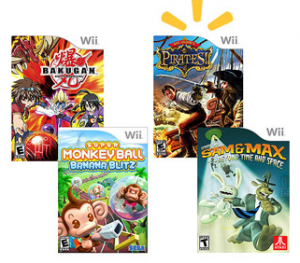 Head over to Walmart to score a 4 game Wii bundle for $20, making each game only $5 each! You can choose from 22 different games include Your Shape, Game Party, Super Monkey Ball and many more. When you get to the Walmart site, just enter Nintendo Wii Buy 2 Get 2 Free Value Bundle into the search bar to find the deal.